Please CLICK HERE to access the Personal Project Student Handbook. You will need a Rockridge Student username and password to access the site as it houses copyrighted IB materials. Note: There will be a Collab block meetings with your supervisor and research blocks in the library. It is your responsibility to set up all other meetings with your supervisor so that you can meet the deadlines listed below. Please see the link below for the complete collaboration block schedule. 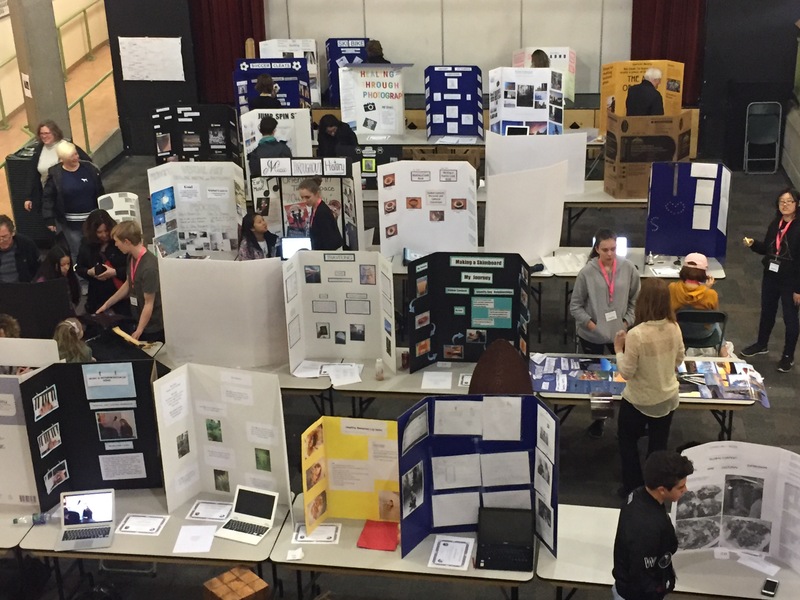 In the final year of the program (grade 10) the students “engage in a personal project which allows them to demonstrate the understanding and skills they have developed throughout the program”. The Personal Project is a 2 credit independent directed study that is required to complete the certificate for the MYP programme. The course involves choosing a topic that interests the student personally and an area of interaction (human ingenuity, environments, health and social education, community and service or approaches to learning) that helps the student to develop a project with a clear and specific focus. During the course, the student will think about, investigate, plan, create, report and present the personal project. The assessment of the course involves a process journal (record of involvement in the course), product or outcome (Performances: play, dance, song, speech, Published writing: creative prose, collection of poetry, major essay, extended article, script, review, Events: Fund-raising evening, service in action, celebration, major event, Static visual displays: photographs, art, poster, model, artifact, drawings, statistical data or Interactive displays: web site, video, audio-visual, animation) and a final report.